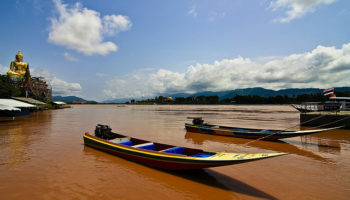 Luang Prabang is a city in northern Laos flanked by the Nam Khan and Mekong Rivers. This colorful and artsy town is full of colonial style buildings and a plethora of incredible temples and was once home to many members of Laos’ royal family. Monks walk the streets alongside noisy street vendors and long-term yoga practitioners. With night markets and day trips to waterfalls, this is a laid-back, beautiful place to stay for a bit of spiritual relaxation. 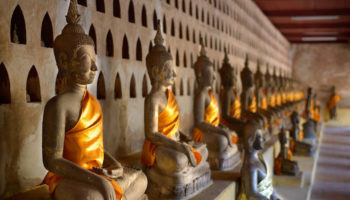 To that end, you’ll find plenty of places to rest your head for the night in Luang Prabang. There are French colonial-era villas for ultimate luxury; traditional-style stilt villas overlooking lotus ponds; and riverside guesthouses. There are many options for affordable or high-end tropical comfort in this heritage-laden city. 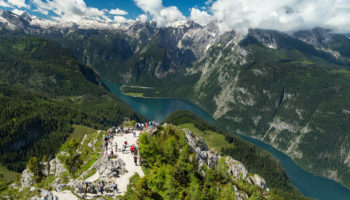 Overlooking the city and boasting a vista of the surrounding mountains, the rooms at this hotel are a mix of rustic and chic, featuring hardwood floors and large beds as well as private balconies. 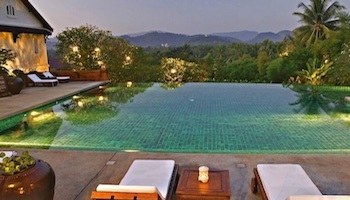 There is an infinity pool at Kiridara Luang Prabang for extra luxury, plus a fitness room and spa. For small children, there is a kids’ pool. To get out into the surrounding area or explore the city, there are bicycles for rent from the hotel. The onsite restaurant serves local Lao dishes, and there’s a pool bar for drinks. The Chao Anouvong Monument is close by, as is Dara Market. 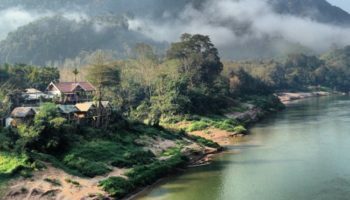 This is a guesthouse which sits along the Nam Khan River, where you can spend days sat out on the deck watching the life of the river pass you by, surrounded by blue skies and mountains. The rooms at Merry Riverside Hotel feature hardwood furnishings and white-washed walls, and there is a selection of rooms on offer – from full-on suites to family-sized offerings. You can enjoy breakfast on the terrace each morning. It is less than a ten-minute walk from this hotel to the Evening Craft Market as well as the Royal Palace, plus all the bars and restaurants of the area are a leisurely stroll away. 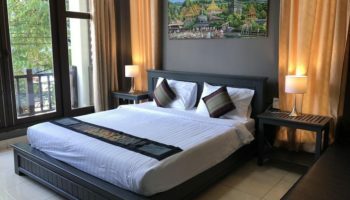 Positioned close to lots of popular sights in Luang Prabang, such as the temples of Wat Aphay and Wat Visoun, and the National Museum too, this hotel is in a convenient location. The rooms come with en suite bathrooms and feature traditionally patterned fabrics and tiled floors; some boast their own balconies. There is a buffet breakfast provided at Villa Mahasok Hotel each morning, served up in a charming outdoor area complete with a pond and lily pads and space to lounge around. For more eating and drinking options, there are local eateries and bars located just a few minute’s walk from the front door. Jasmine Luangprabang Hotel boasts a beautiful outdoor pool which is sandwiched between two buildings of the hotel. Some rooms here open out onto the pool, meaning you can practically dive into the water for a refreshing way to wake up. The rooms here are sophisticatedly stylish; with wooden furnishings and seating areas, touches of warm reds and browns make it feel like a cozy, homely place to rest your head. The staff at the 24-hour front desk will provide you with everything you need for a comfortable stay. 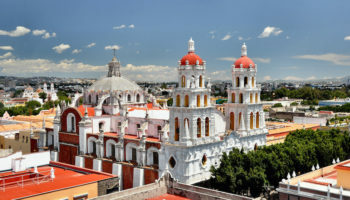 The Night Market is a mere one minute walk away, as is the Tourist Information Centre. Located near the banks of the Nam Khan River, My Dream Boutique Resort feels like an authentic and natural place to stay in Luang Prabang. There is a romantic stone outdoor terrace, perfect for a candlelit dinner overlooking the river. A small but well maintained outdoor pool with a scattering of sun loungers on the deck makes for an excellent way to refresh yourself after a day of exploring the city. Nearby, you’ll find Wat Aham and the famous community project, Ock Pop Tok, among other interesting sights. The rooms are high-end here, featuring high ceilings, rustic, shuttered windows, and hardwood furniture. Perfect for nature lovers, this entire hotel is surrounded by lush tropical plants and lotus ponds for a true oasis getaway. The rooms at Maison Dalabua are bright and airy, with simple white-washed walls and wooden furniture, allowing the beautiful gardens – which you can see from the rooms – to take the spotlight. 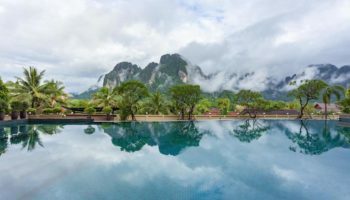 Guests can enjoy swimming in the outdoor pool, luxuriating in a massage at the spa, or eating Lao dishes in the restaurant overlooking the ponds. 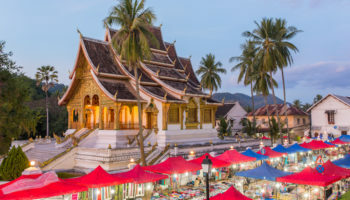 The center of Luang Prabang is five minutes away on foot, with places like Wat Ho Ziang and the Dara Market right on the doorstep. Set in a stunning, historic, white-washed, colonial-style house that was once the residence of Prince Souphanouvon, this hotel has a lot to offer. Surrounded by green trees, grassy lawns, and tropical gardens, there are even two outdoor pools to cool off in. This utterly beautiful hotel boasts lovely rooms with antique furniture, hardwood floors, ceiling fans, four-poster beds, and even baths. Satri House Secret Retreats offers dining on an outdoor terrace, complete with Lao delicacies. 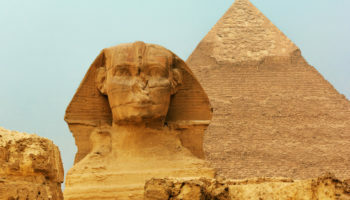 This hotel is well located too, with the Traditional Arts and Ethnology Centre a short walk away; but staying here is about enjoying the tranquil local neighborhood. True to its name, this hotel is an oasis, with stilt houses set over ponds and gardens around five minutes on foot from the center of Luang Prabang. You can spend time here relaxing on your very own private outdoor seating area, walking through the lush gardens, or swimming in the refreshing outdoor pool. 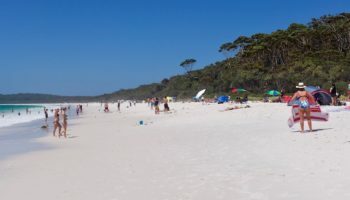 The rooms are cool and contemporary, with white walls, large beds, and tiled floors; family rooms are also on offer, with extra space and beds for everybody. Breakfast is provided each morning and can hire bicycles to pedal around the local area or simply head into town to see the sights.